From Lance Armstrong to David Petraeus, how can leaders make so many bone-headed decisions? Leaders need an easy-to-use, bulletproof test for their decision-making. We offer one here. Of course, if you are caught, you’ll wonder later how you could have been so blind. The general views of a civilized society (called the mores) are what determine if something is ethical. Some acts are ethical, even if they are illegal (e.g., civil disobedience to challenge discriminatory laws). To break such a law may be ethically right, but one must be prepared to face the legal consequences. Some acts are unethical, even if they are legal (e.g., the laws of the Third Reich). We encourage organizations to articulate a set of shared values to guide their behavior–shared values like integrity (or one of its synonyms). 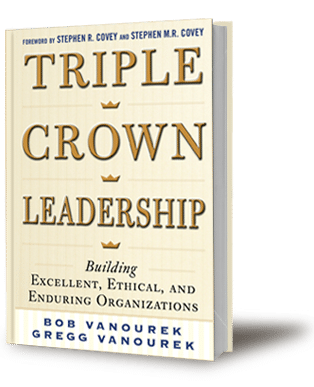 But even with a set of such shared values, collaboratively developed, widely communicated, and embedded into the DNA of an organization, men and women of goodwill may disagree on the ethics of a certain course of action. In an era of whistleblowers, Wikileaks, Facebook, and Instagram, assume your actions will become public. How will your behavior stand up to that scrutiny? Test your decisions against these three parameters. You won’t regret it like Armstrong and Petraeus now do.